A true one-off, the only proper memorial site and museum at an authentic former "gulag" prison for political prisoners in Russia, located in the Perm area near the western side of the Urals mountains. There has been a bit of confusion about the fate of this place in recent years, so let me just make it clear from the start: Perm-36 has NOT closed down (as has been reported in many places), but despite a change in the management remains up and running, and the exhibitions inside the buildings have in fact been expanded, and while the previous main exhibition was changed, a good part of it is also still in place. More background info: The site was also code-named VS 389/36, but is better known under its name that associates it with the city of Perm, even though that is quite a distance away (it was a common practice in the USSR, the same applied to various branches of the Chelyabinsk nuclear facilities, such as Mayak, or to the Baikonur cosmodrome, which is in fact hundreds of miles from the mining town of that name …). The history of Perm-36 goes back to 1946, and timber logging was the main type of forced labour the prisoners had to perform back then. The barracks were also made of timber. In winter this provided precious little protection from the cold. Inmates tried to keep warm by stuffing paper under their clothes. 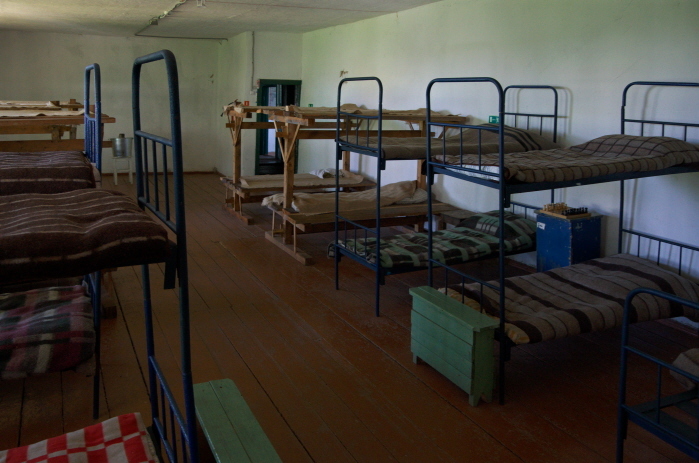 The initial inmates of the camp were either “bytoviki” ('criminals') or “ukazniki”, a term for those disciplined for work-related offences such as absenteeism, being late repeatedly or general “antisocial” behaviour. 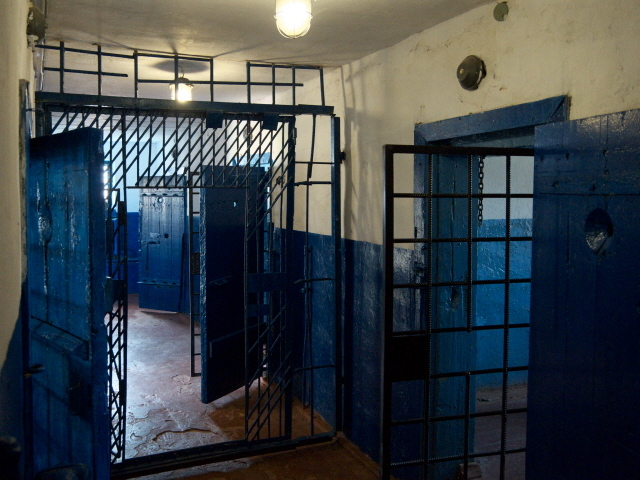 Unlike many other such camps in the former USSR, Perm-36 was not closed down after Stalin's death in 1953 but continued as a “correctional labour colony” for criminals of various shades. From 1972, it also became a camp for political prisoners, who were held here alongside regular criminals. The political prisoners were moved here from other camps. This ended only in 1987 (two years after Gorbachev came to power), and in 1988 the camp was finally closed down. As such it had been one the last sites of the Gulag system. More importantly, it is the only such site that was not demolished after the dissolution of the Soviet Union in 1991 but was kept as a memorial site. It was taken over by the Russian NGO “Memorial” in 1994 and opened to the public in 1995 as the “Museum for the History of Political Repression Perm-36”. In the Putin era, the museum and the NGO running it came increasingly under pressure. So it was put on the World Monuments Watch list of the “100 Most Endangered Sites”. After the local governor in Perm, who had been more sympathetic to the memorial site, was replaced by a more Kremlin-friendly successor, the pressure increased. Moreover, a new law introduced in 2012 suddenly required NGOs that pursue political aims and receive funding from abroad to register as “foreign agents” and to undergo extensive scrutiny. This move effectively branded such NGOs as “spies” or even “traitors” in the public eye. In addition, they became the target of physical restrictions and harassment. “Memorial” specifically became entangled in this political conflict in 2014. In the wake of the deepening crisis in eastern Ukraine and Russia's (re-)annexation of Crimea also in 2014, the Perm-36 site became seriously threatened, and after its water and electricity supplies were cut off it was forced to close in 2015. However, it was almost immediately taken over, this time as a state-run memorial site. The closure was widely reported, and you can still find many references to Perm-36 that claim it has closed for good. This is not so. It remains in operation, but now as part of the “State Independent Cultural Institution of Perm Region”. The change in the administration of the site was also reported in Western media, especially as a potentially revisionist twist to the whole nature of the memorial site. Allegedly, all references to the terror of Stalin and Brezhnev were removed and the whole issue of political prisoners suppressed, so that the focus shifted towards portraying the inmates as nationalists, criminals and as such deservedly incarcerated. I never had the chance to see this memorial in its pre-2015 form, so I cannot directly compare. However, some of these reports seem a little exaggerated, going by what I found there when I finally made it to Perm-36 in August 2017. True, I did not spot any references to Brezhnev, so if there used to be some in the past, these must indeed have been removed. I did find a bit of loose reference to Stalin, though, albeit in a special context (see below). Since I was shown around by an independent guide from Perm and not by one of the on-site museum staff, I can neither confirm nor deny whether these tours do, as has been alleged in the Western media, indeed tone down the issue of political repression or not. I can confirm that the political aspects of the site are indeed not in the foreground in the way it is currently commodified, the focus is more on the physical structures and functions of the various parts of the site and how its regime was run, including the inmates' hardships, but it's not so much on the reasons why political prisoners were sent here. Yet it is not fair to say that the site has been totally depoliticized. For instance there were sections about books that were forbidden in the USSR for political reasons, and copies of the world-famous book “The Gulag Archipelago” by Aleksandr Solzhenitsyn were on sale in the museum shop (amongst other works). There were also some Soviet-era propaganda posters on display, as well as several personal accounts of individual inmates. Parts of the old exhibition also remain in place – though these are primarily archaeological in nature. But the full scale of the Stalinist purges or the continued repression of political opposition until the 1980s, or the treatment of dissidents, all that does indeed not come across naturally at the current Perm-36 memorial – especially if compared to the Gulag History Museum in Moscow. As I said, I'm in no position to really compare the present commodification of Perm-36 to the previous one and thus can't judge whether the old one was better, but I can say that a visit to this unique site can still be wholeheartedly recommended – if for the reason alone that there is no other such site like it. However, you may have to do your own research of the politico-historical context of the Gulag system independently, and ideally in preparation before coming here. At the site you won't receive so much education about those aspects. What there is to see: There are actually two sites/camps here, the main “strict camp” and the “special camp” (which was even stricter). The tour began at the former. I came with a guide from Perm, and he provided his own narration and guiding, as he'd been to this place numerous times before and the museum staff knew him. That means, however, that I can't say anything about the regular tours provided on-site by the current museum staff. As far as I could gather you cannot just walk around independently (although I wonder why they provide audio guides then). Even our little group of my guide, my wife and myself was followed around everywhere by a museum employee as our “minder”. Inside the main building is a reception area that also has a bookcase with volumes for sale (including Solzhenitsyn's “The Gulag Archipelago”, but only in Russian). Here you can also pick up a small brochure that provides an overview of the various sections and components of the camp. Dotted around the area there are signs with some short labels in Russian and large QR codes on them. These allow access to some English-language information, both written and in audio files, with illustrative photos. The English is rather well written/spoken, and so I presume it must be a very recent addition to the commodification of this site. The largest building of the complex is the administrative block, a two-storey edifice topped by a watchtower-like structure at the third level, which was accessed by stairs on the outside of the side wall. It's one of the most prominent features of the Perm-36 camp, but is actually one of the most recent. It was built in 1979, just nine years before the closure of the camp. Only the ground floor is in part accessible to visitors. We'll come back to that. The admin block is outside the actual camp's fence system. As we passed through the main gate, the elaborate series of fences was explained. There were no fewer than five fences. The outer perimeter fence made of wooden planks was three metres high so the camp was shielded from view. A couple of small, one-person watchtowers towering above this fence survive to this day. Inside the main outer fence was another three-metre-high fence with barbed wire followed by yet more fencing, some with more barbed wire, others electrified and alarmed. It is certainly all those security features that characterize the look of the site even today. They are also the most “photogenic” features (in a dark sense, of course). Inside the camp are several buildings, barracks, workshops, etc., including a boiler room, power station, store rooms, workshops and of course the living quarters for the inmates. Some of the buildings are quite recent too, such as the power station (dating from the 1980s), others are original features from the 1940s, such as the wooden workshop. 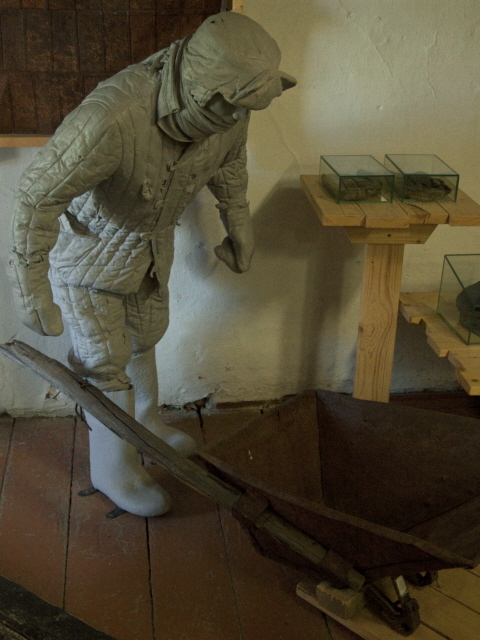 There are several exhibitions inside the barracks/buildings. The first one we entered on our tour was a recent addition, and I think only a temporary one. It mainly consisted of photographs taken at some other gulag site at a uranium mine. Included were images of a deep shaft – with dosimeter readings going up en route from the entrance to deeper inside. The next exhibition was about the timber logging industry, which was initially the main area that inmates had to do forced labour in. This exhibition, so I've gathered is a recent addition set up since the takeover of the site from the original NGO by the current administration of the memorial (see above). There's an English-language information panel here that provides some details about this industry. It also mentions the hardship of those condemned to forced labour here “rightly or unjustly”, but that's as far as it goes in acknowledging the cruelty of the gulag system. I know that this change of tone, and the almost glorifying emphasis of the contribution this work made to the victory in the Great Patriotic War (WWII), attracted some criticism (see above again). We moved on towards the wooden living quarter barracks of the inmates, of which two out of originally four survive to this day. Inside are yet more exhibitions, including one of personal belongings of inmates, and one of paintings/drawings depicting camp life. 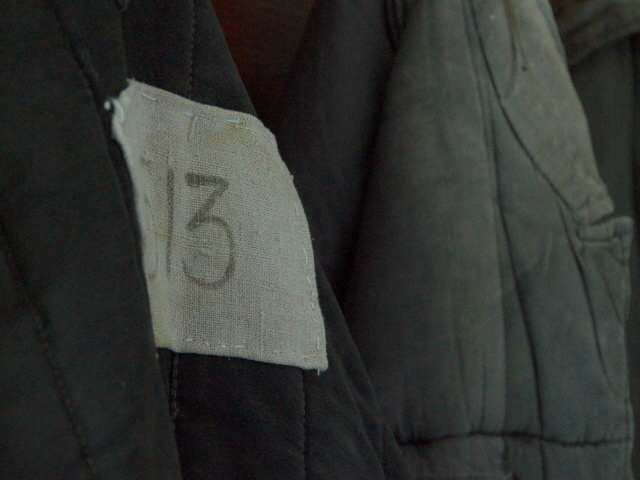 On display are also typical coats and felt boots from the gulag. 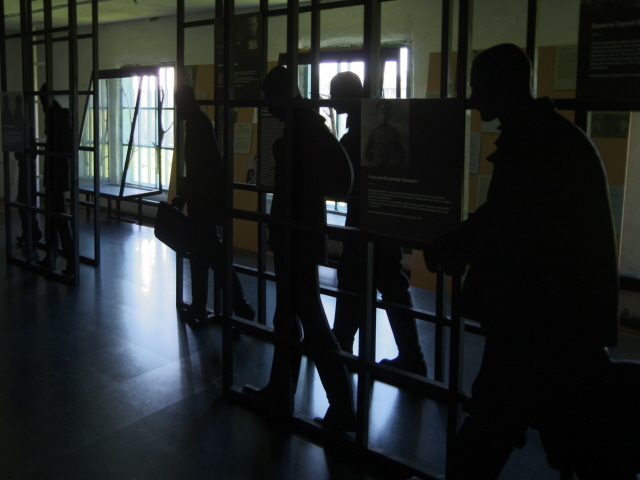 One room had a series of black silhouette cut-outs in the shape of people and some panels providing some background stories and details of individual prisoners. All these were in Russian only. Next door was a room with what we were told was part of the original exhibition from the days before the takeover of the site by the state in 2015. 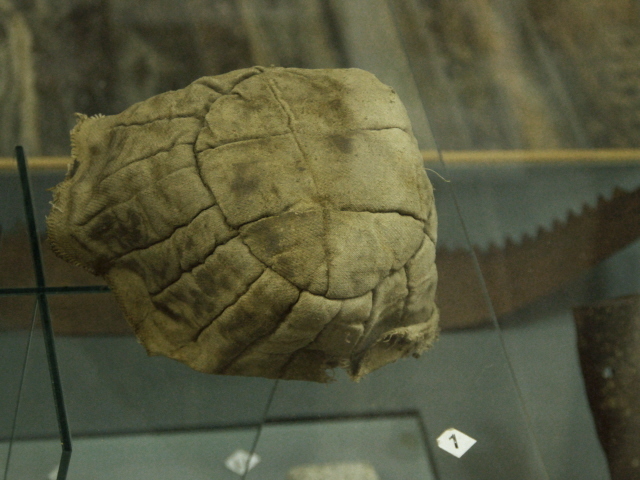 It mainly contained various archaeological artefacts collected at different gulag sites, including from Kolyma in the far-east of Siberia. Whether anything has been removed from this exhibition was hard to tell, but there was indeed very little that hinted at the political repression that landed many a prisoner in the gulag, just a few Soviet relics and a Stalin portrait hanging from the ceiling. There were some short labels in English, the rest was all in Russian only. Next came a dorm room with bunk beds (whether authentic or reconstructions wasn't clear) from the different eras, from crude wooden ones, to metal double-decker bed frames with proper mattresses. In the next section, it got a bit more political, in that some of the offences punished by the gulag system were illustrated. 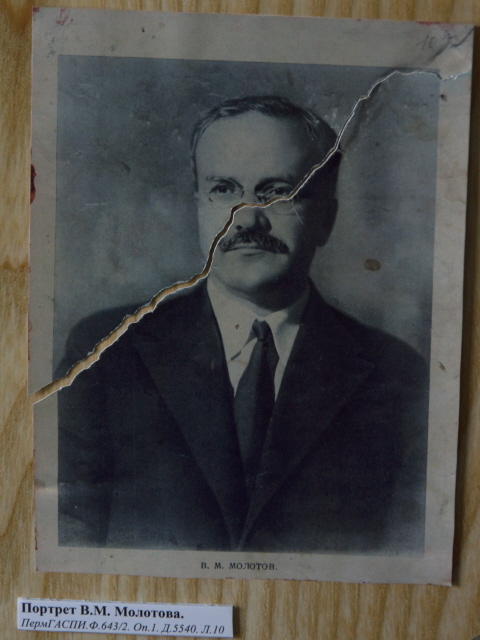 These included the “mutilation” of photos of Stalin (with his eyes poked out by scissors) or Molotov (torn in half). Plenty of photos and drawings illustrate camp life (and death – exemplified by photos of the camp cemetery) as well as various projects that prisoners had to work on, including the construction of industrial plants or hydroelectric dams. In addition there's a section about banned books and censorship. An interesting feature here is that there were seats inside the display racks that made you feel like sitting in an isolation cell as you perused the texts and documents. There's some English here but most is in the original Russian. One exception was a copy of a book by Anatoly Marchenko, in its English translation, entitled “My Testimony”. It tells his story of being arrested in 1958, then sent to a gulag in Karaganda, and of his escape. Attempting to cross the border into Iran he was captured again and sentenced for “treason” (which wanting to leave the country was classed as) and sent to a camp in the Urals again. We next visited the prison-inside-the-prison, a cell block with isolation cells and separate workshops where those who had violated camp rules would be punished. 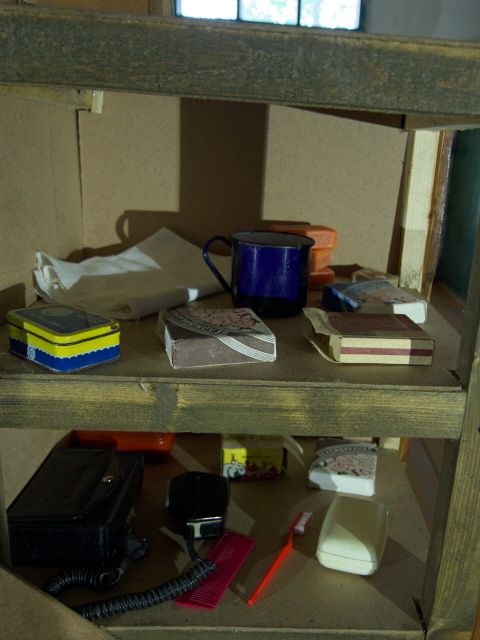 They were given smaller rations, only allowed one shower every ten days, and during the day their bed planks would be folded up so they could not lie or sit but had to stand. They also had to do especially mind-numbing simple, repetitive work. Then we re-entered the main admin block to see some of the offices as well as a visiting room. There was always a guard sitting to the side of inmate and visitor, so there was no privacy. 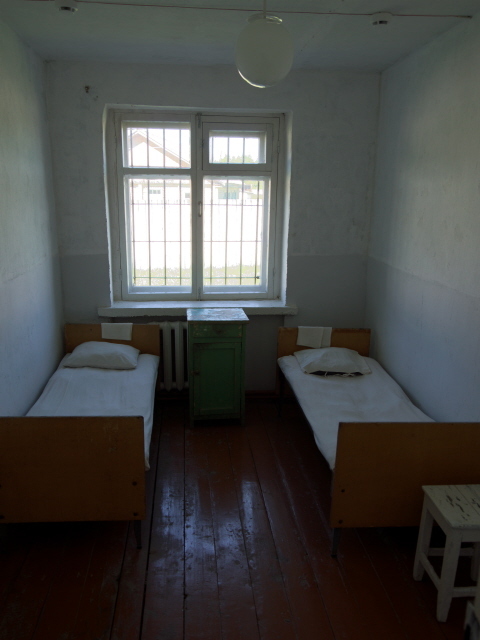 However, there was also a room for “longer-term visits”, where “well-behaved” prisoners were allowed to cohabit with their spouses in twin rooms and even had a separate kitchen. Back outside we then drove on to the second part of the Perm-36 complex, the so- called “area of special regime”. This was in fact much stricter than that in the “area of strict regime” at the main camp. The special section was built in 1980 some 400 metres away from the main camp. It housed some 30-40 prisoners convicted for what was “considered especially dangerous state crimes” (quote from the museum brochure). What the nature of such crimes exactly was and whether it included political prisoners is not made fully clear. But it's more than likely. The separate special camp had its own security system and heavily guarded access gate. Inside the open area beyond the gate, one original lorry for the transport of prisoners is on display (underneath a protected roof). You can peek inside to see the small holding cell. 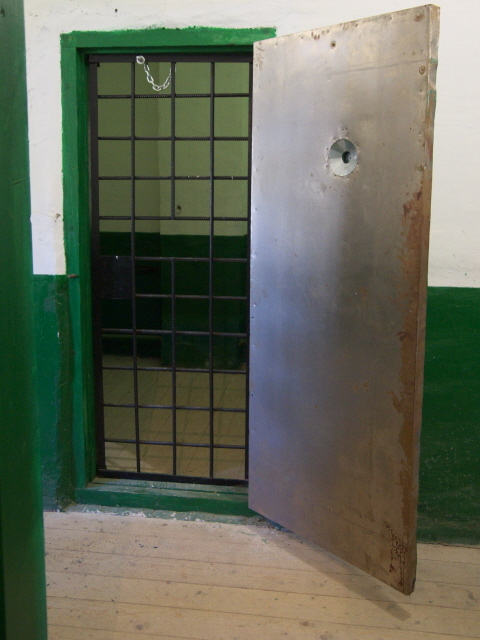 There is only one barrack here with cells and simple toilets as well as a couple of “tiger cages” or exercise yards, where prisoners were allowed a short period in the fresh air – but without views of anything other than the barbed-wire “roof” overhead. 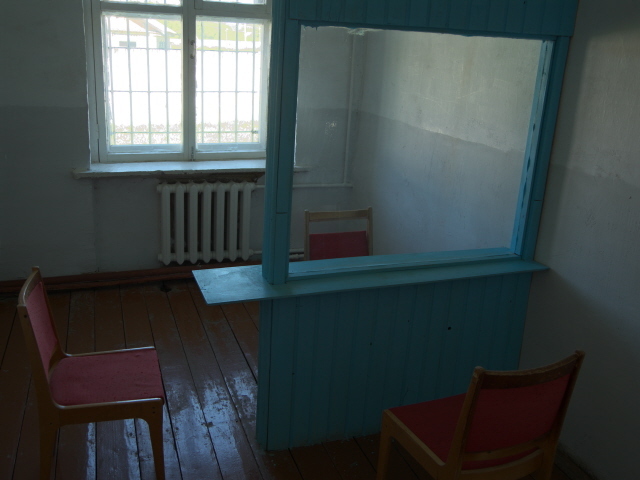 Apart from the cell blocks here there was also another exhibition, which contained yet more archaeological items from the camps, a cell door from Tomsk, as well as some old furniture and Soviet-era propaganda posters. Part of this section appeared to be still under development. That finished the tour and we got back in the car and drove back past the main camp and onwards for the rest of the day excursion (see under combinations below). All in all, I can say that this was a very worthwhile excursion. The main thing is the place authenticity here, given that this is the only preserved gulag site in the whole of Russia. The commodification does leave a few things to be desired. Especially the political aspects of the nature of repression in Soviet times are not exactly in the foreground – and this may indeed have something to do with the recent change in administration (see above). Yet the artefacts on display and the original barracks, cells, and so on, still make this a top dark-tourism destination. Worth the effort (and costs) required in making it there. Location: near Kutchino village, about 75 miles (120 km) north-east of Perm, Urals region, Russia. Perm itself, over 700 miles (>1100 km) east of Moscow, is actually the easternmost European city, sitting right by the Ural mountain range which forms the border to Asia/Siberia. Access and costs: very remote, and with English-language tours service it's not cheap. Details: To get to the site you'd either need your own transport, if you dare, or go on one of the organized excursions from the city of Perm itself. If you're intending to head out to Perm-36 using public transport or a taxi, then you have to be sufficiently proficient in Russian, really. In theory you can use public transport to at least get near, by taking a bus from Perm bus station to the town of Chusovoy and telling the driver to drop you off where the road to the memorial site branches off the main road, opposite a “АЗС” (AZS) petrol station. From there it's a ca. 30-40 minutes' walk. Note that you cannot rely on local taxi drivers even being aware of the existence of this place, let alone knowing how to get there. So for the majority of foreign tourists, an organized tour will be the only sensible option. There are a couple of established tour operators based in the city of Perm that offer tours to Perm-36, often in conjunction with other sites that it can conveniently be combined with en route (see below). As a stand-alone day excursion to just Perm-36, which takes about six hours by car/minibus, expect to pay in the region of 150-300 EUR as an individual, less if you're going as a couple or part of a small group (for 4-6 persons the price drops to ca. 75 EUR per head). The price includes transport, admission, the tour of the two sites, and a lunch en route. I used the company Evrasia, who were also very helpful in providing visa support and airport transfers and in booking accommodation in Perm. At the same time, their prices were at the most reasonable end of the scale given above. So I can recommend them. Opening times: Tuesdays to Sundays at least from 10.00 a.m. to 5.00 p.m. (these are the times given on the museum website – but when I was there a sign by the entrance said 9 a.m. to 6 p.m.). Admission costs for individual visitors: 300 RUB for foreigners (citizens of Russia and the CIS countries pay half that, and a few further concessions apply to students etc.) for the main camp part, for the special regime area another 200 (100/50) RUB are levied. Visitors must be at least 12 years old. An audio guide in English/German/French is available and costs an extra 250 RUB (100 in Russian). Guided tours by museum staff can be arranged too. These are mostly in Russian, but English-language tours can also be arranged for groups up to 15 persons and these cost 3000 RUB. You can arrange a tour online at the museum website (itk36-museum.ru – in Russian). To get to Perm you could make use of the fact that the city is on the Trans-Siberian train line. If that's too slow for you, the only other option is flying in. There are several domestic flights, including to St Petersburg and Moscow, and even the odd international flight (though only seasonal holiday shuttles). Currently a new terminal building is under construction while the old one is still in operations, so it's quite a chaotic building-site like atmosphere … If you arrange an organized tour with a Perm operator you can also have them provide you with an airport transfer, as getting a taxi on the spot on arrival could prove tricky (esp. after flights from St Petersburg, which arrive in the dead of night!). Time required: The two sites at Perm-36 together take about two hours, possibly longer if you can read Russian and are not on a guided tour from Perm, in which case the transfer times will not usually allow for lingering longer. Transport from/to Perm included, the whole excursion takes between 6 and 7 hours, or several hours longer if combined with more sites en route, so basically it is a day tour. Perm itself also deserves at least a half day exploring. Combinations with other dark destinations: The tour operators that offer excursions to Perm-36 from the city of Perm often offer combination tours that take in all or a selection of the following: Kungur ice cave, Belogorskiy Monastery and Museum of the Chusovaya River. My tour included the first two, following Perm-36. The Kungur ice cave isn't really dark, in terms of historical heritage, but hey, it's a cave, so it's not too far off. And they also have a few faux “spooky” elements in it. In the summer there is not that much ice in there but they preserve some ice sculptures from the winter inside the cool (max 5 degrees in the first part – so take warm layers and a woolly hat). As so often, they overdo it with colourful LED lighting effects, so it's only in a few places you can see the cave interior with non-garish neutral light. Still, the ca. 1 hour (compulsory) guided tour was entertaining. Belogorskiy Monastery is a recent reconstruction of an older incarnation that fell victim to the Soviet anti-religion violence. Now, with the Orthodox Church resurging, many such sites have been rebuilt (cf. also Moscow's Christ the Saviour Cathedral). The monastery church was almost finished when I was there, but builders were still busy all around it. My guide from Perm pointed out one small bit of the old ruined church's wall that has been preserved in its original state, namely because on it you can see bullet holes from when the Bolsheviks murdered the monks of the old monastery here in the wake of the revolution ... so there is a definitely dark little detail here. If you are staying over in Perm to do the excursion to Perm-36 from there, then you could also take in that very Russian city, which still features some remnants from Soviet days in the form of socialist realist sculptures and murals, as well as some typical architecture. Apart from the large monument to the Home Front by the central esplanade just west of the old town core you can also find another one of those countless Lenin statues left over from the USSR times all across Russia. Moreover, there is a missile and artillery museum on the north-eastern edge of town … I only saw it from the car en route to Perm-36, and then didn't have the time to go back to check it out myself. But a friend visited it recently and reported back that there wasn't actually that much to write home about at that site, just a collection of old military gear, including just two larger upright missiles (mid-range or ICBM). Perm is actually a military production centre and many of these guns, missiles and other military items were built here in the Perm area, That's why in Soviet times Perm was in fact a “closed city”. Its military importance can also be seen in the fact that to this day a squadron of Mig-25/31 interceptor jets is based at the airport, which is for mixed civilian and military use. You can sometimes hear them thundering overhead – and I spotted some of them lined up at the military part of the airport when I took off for my flight to Moscow. Thematically related to the Perm-36 site are a small number of other museums about (or with sections about) the Gulag system, e.g. 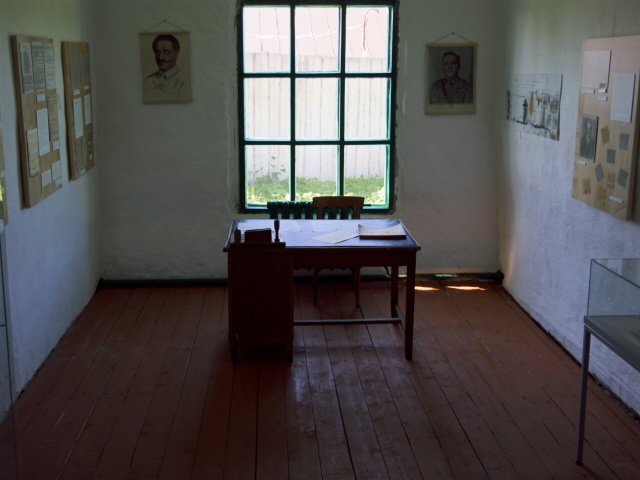 in Magadan (Kolyma Gulag Museum), but these are not only more remote but also don't offer the architectural authenticity of Perm-36, rather being small local museums with mainly just photographs, textual documents and minor artefacts. Most genuine gulag sites are now derelict and searching them out is more of an expedition than simply tourism, e.g. the few vestiges near the infamous Vorkuta site (a German POW cemetery can still be found there, but that's about it). However, some former gulag sites are now accessible as part of some extreme tours of the Magadan area in eastern Siberia offered by Koryo Tours, as a sideline to their regular North Korea tours – see also sponsored page here. 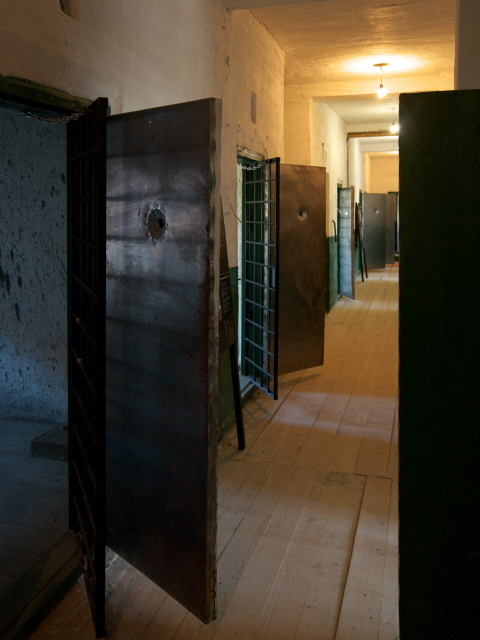 If you'd rather have it less exotic, there is now also a Gulag Museum in Moscow. Closer to Perm, the museum of the history of political repression in the nearby (by Russian standards) city of Tomsk is on a similar theme. The latter I haven't seen for myself but a fellow traveller who visited it recently said it was really small and not that great. The Gulag Museum in Moscow, however, is now probably the most significant gulag-related institution in the whole of Russia, as far as its museum coverage goes (it obviously can't compete with Perm-36 for place authenticity). Furthermore, some former gulag sites are also commodified for tourism in Kazakhstan, in particular KarLag and ALZHIR. Combinations with non-dark destinations: The scenery around Perm-36 is pleasant, typical rural Russia, but not with that many varied features, except for the sites already mentioned above, Kungur ice cave, which is very touristy, and the newly rebuilt Belogorskiy monastery. Perm itself has the charms of a remote and still very, very Russian city, and given its size there are also all kinds of cultural offerings. For a short, casual visit, one could at least explore the old town core and the western extension of this. Here a recently added local attraction is the “walking bear” sculpture (immensely popular with selfie-taking locals), which is an allusion to the fact the the city's symbol incorporates the image of a bear. You can also walk down to the river station and the historic Perm-1 train station (which was undergoing extensive restoration when I was there in the summer of 2017). From the waterfront you get a sweeping panorama over the Kama River.